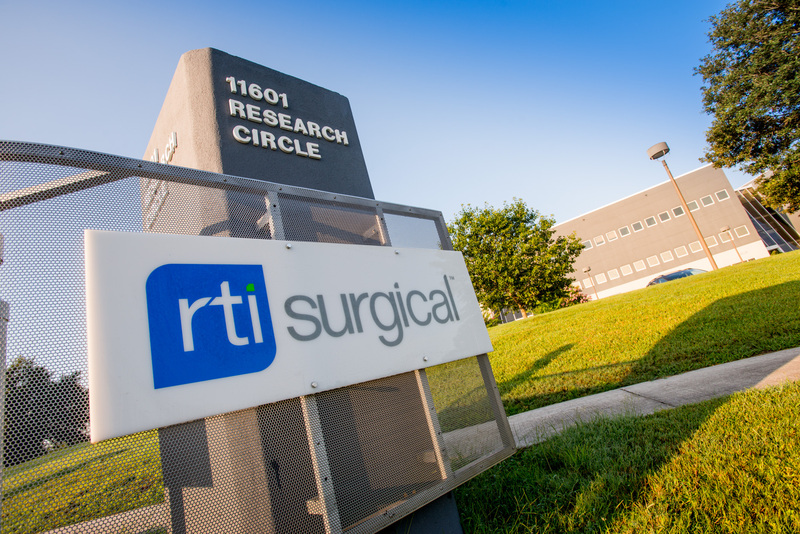 RTI Surgical® Makes an Inducement Grant to Camille Farhat, New Chief Executive Officer - RTI Surgical Holdings, Inc.
ALACHUA, Fla. (Feb. 16, 2017) – RTI Surgical Inc. (RTI) (Nasdaq: RTIX), a global surgical implant company, announced today that it made an inducement grant to Camille Farhat. As discussed in RTI’s January 26, 2017 press release, Mr. Farhat was named chief executive officer, effective March 15, 2017. In addition, as a material condition to Mr. Farhat’s employment agreement and as discussed in RTI’s Current Report on Form 8-K filed with the Securities and Exchange Commission (“SEC”) on February 1, 2017, RTI issued on January 26, 2017 (the “Grant Date”) an inducement grant to Mr. Farhat. This grant was in the form of: (1) a restricted stock award agreement (the “Restricted Stock Agreement #1”); (2) another restricted stock award agreement (the “Restricted Stock Agreement #2”); and (3) a stock option agreement (the “Option Agreement”). Under the Restricted Stock Agreement #1, RTI granted Mr. Farhat 850,000 shares of restricted common stock. On the first anniversary of the Grant Date, 170,000 shares will vest. The remaining shares will vest on the last day of each calendar quarter at a rate of 42,500 shares per calendar quarter commencing after the first anniversary of the Grant Date and continuing for four years after. Vesting of these shares may accelerate upon the occurrence of either of two conditions, which are confidential and subject to a confidential treatment request to be filed with the SEC. Under the Restricted Stock Agreement #2, RTI granted Mr. Farhat 150,000 shares of restricted common stock. These 150,000 restricted shares will become fully vested on the latest date (the “Purchase Date”) on which the fair market value of the cumulative amount of shares that Mr. Farhat purchases on the open market equals $500,000, so long as the Purchase Date is on or before March 15, 2018. After vesting, the shares will be non-transferable for a period of one year following the Purchase Date. Under the Option Agreement, RTI granted Mr. Farhat the option to purchase 1,950,000 shares of common stock (the “Stock Options”), as of the Grant Date. The exercise price for the Stock Options is $3.20. The Stock Options will expire on January 26, 2022, at 5 p.m. ET. The Stock Options will vest based on RTI’s attainment of three average stock price benchmarks. The first 650,000 shares will vest if RTI’s average publicly traded stock price is over $6.00 for a sixty-consecutive calendar day period. The next 650,000 shares will vest if RTI’s average publicly traded stock price is over $7.00 for a sixty-consecutive calendar day period. The final 650,000 shares will vest if RTI’s average publicly traded stock price is over $8.00 for a sixty-consecutive calendar day period. The vesting of the Stock Options is cumulative. The descriptions of the Restricted Stock Agreement #1, the Restricted Stock Agreement #2, and the Option Agreement are qualified in their entirety by the complete terms and conditions of the documents, each of which will be filed as an exhibit to the Quarterly Report on Form 10-Q for the quarter ending March 31, 2017. RTI Surgical is a leading global surgical implant company providing surgeons with safe biologic, metal and synthetic implants. Committed to delivering a higher standard, RTI’s implants are used in sports medicine, general surgery, spine, orthopedic, trauma and cardiothoracic procedures and are distributed in nearly 50 countries. RTI is headquartered in Alachua, Fla., and has four manufacturing facilities throughout the U.S. and Europe. RTI is accredited in the U.S. by the American Association of Tissue Banks and is a member of AdvaMed. For more information, please visit www.rtix.com..